Tombstone Consoles | Advanced Machine & Engineering Co. Weights are in lbs and include the base plate. Grid holes, bushings & inserts available in 1/2” or 5/8” systems. 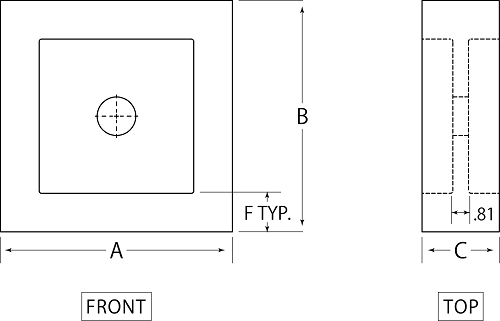 View tolerances and machining options. Consoles are used to obtain various support heights.